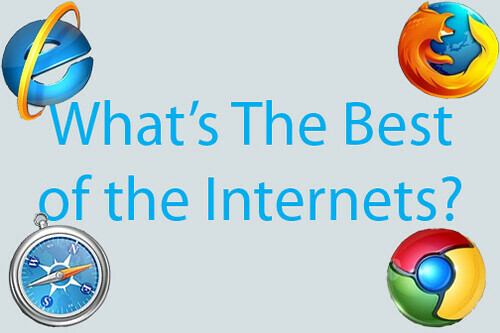 Top 10 Best/Worst Websites or Blogs of 2009: Vote Now! The results are in! Click HERE to view results for BEST BLOG. Click HERE to view results for WORST BLOG. To view results for BEST WEBSITE, click HERE. To view results for WORST WEBSITE, click HERE. For all polls, ignore the “Don’t Click” option. Enter the name of the website or blog that you think was the best of the year. Submitted websites or blogs must have been active during 2009. You may enter the title or the URL. Enter the name of the website or blog that you think was the worst of the year. Submitted websites or blogs must have been active during 2009. You may enter the title or the URL. Also, Deluxe Membership is now available, click here to join for free. Don’t forget to vote on the Best of 2009 by clicking here. Andrew Breitbart’s BigGovernment.com: Check This Out! Andrew Breitbart opened up his latest venture, BigGovernment.com, by releasing the tapes of the ACORN controversy stright to the site. A pretty good way to make an entrance, huh? BigGovernment.com has since been the hub for news on the ACORN scandal, causing the site to explode onto the blogosphere. The site features about 10 contributors as of now, and seems to me like it will be more conservative version of the Huffington Post, which was also primarily created by Andrew Breitbart. Contributors included: Creator Andrew Breitbart, Editor in Chief Mike Flynn, the “prostitute” in the ACORN videos Hannah Giles, Townhall.com contributor Ken Blackwell, DC attorney and journalist Ken Klukowski, President and CEO of FreedomWorks Matt Kibbe, radio show host Dana Loesch, chairmen of the Illinois Chamber of Commerce Health Care Council Doug O’Brien, and the “pimp” in the ACORN videos James O’Keefe. Quite a group, wouldn’t you say? BigGovernment.com is the go to place to get the latest on the ACORN scandal and other news. Check it Out today! To visit all recipients of the “Check This Out!” Award, click here. To visit BigGovernment.com, click here. Do. Not. Over. Tag. Your. Posts. WordPress blogs are greater than all other hosted blogs. Reason? Well, once you get past WordPress’s generally awesomeness, it’s the fact that WordPress.com gives you a great tool to publicize your blog through tags and categories. For those not familiar with tags, here’s an easy-to-understand definition: words or short phrases that describe your post. You simply type them into the “Post Tags” line next to an under-construction WordPress post and SHAZAM! Your post is now at the top of the listing for each tag you typed in. This feature is no doubt a huge assets to starting bloggers, and veteran bloggers alike. When I started my blog, I saw this feature and took notice of its great power. In my excitement, I decided I should harness the full power of WordPress tags by taggingeach post with nearly every word included in the post, plus some general tags like “Politics”, “News”, “Entertainment”, etc. This went on for about 11 months (meaning from blog startup until a few minutes ago). I was surfing the “Education” tag category to catch up on the latest opinions about Barack’s big speech today and I noticed that my grade-A post wasn’t listed anywhere on the listing. Of course I had tagged “Education” to the post. So I looked around and it finaly dawned on me that there COULD be a tag limit. I thought about it and I realized that no one else ever used a trillion tags but me; I guess I just thought I was the only one that caught onto that trick. I decided to post my question in the forums and was promptly given a response by a great forum member (Raincoaster): Wordpress blocks your posts out after around 10 or 12 tags/categories, and after several posts of over 12 tags/categories, you are considered a tag spammer. Well imagine my excitement when I learned that I’m pretty much number 1 on “WordPress’s Most Wanted” since I regularly use upwards of 100 tags on each post. That would explain why I never get hits from wordpress tags. I figure it’s better to not be getting hits because I’m in the “WordPress Tag Slammer” than because my content is boring. What failed techniques have you tried to increase your blog’s readership? Leave your comments below or send an e-mail to theconservativejournal@gmail.com. Don’t forget to bookmark The Conservative Journal and sign up for the RSS Feed and the daily e-mail newsletter. Hey everyone, I hope you all had a great labor day weekend. I didn’t have to work today, but I did spend the majority of my day laboring. I had to catch up on some work stuff so I didn’t get much relaxation time today. I did, however, get to have a great supper with all of my family and it was a lot of fun. That’s about all for today, but I’ll be back on my regular blogging shedule tomorrow. Again, I hope everyone had a great weekend! Alpha Inventions: (Re)Check This Out! One of the very first “Check This Outs” I awarded was to AlphaInventions.com, the increasingly popular advertisement utility for blogs all across the interwebs. I owe Alpha Inventions and its creators a lot of credit for helping The Conservative Journal get off the ground and keep from falling off the face of the blogosphere during my leaves of absence. To express my gratitude I decided I would award them an unprescedented SECOND “Check This Out” Award! Be sure and check out Alpha Inventions and submit your blog to the reading cycle, allowing thousands more eye balls to grace your fine work! To visit Alpha Inventions, click here.